"Discovering Arthur and JBA Landscape & Design was a stroke of good luck. His talent, creativity and imagination transformed an ordinary piece of property into a magnificent park like outdoor living space complete with a fantastic patio and a magnificent waterfall. His design is amazing and his prices are extremely fair. In addition his staff is efficient and helpful. We are absolutely delighted and highly recommend JBA." "We recently completed a backyard renovation with JBA Landscaping and we couldn't be happier with the results! Arthur and his team were dedicated to our project from start to finish, staying at our house for 12 hour days if warranted. They worked rain or shine, and even worked with other companies (fence guys, pool guys, etc) to advocate on our behalf when needed. Their work was meticulous and their team was consistent and always professional. 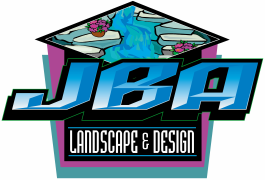 JBA has gained dedicated customers for all of our landscaping needs moving forward. We love our new backyard! Thanks so much, guys!" "My son David and Arthur went to school together and had seen his work and was very impressed. The entire experience was very pleasant. Arthur and his team were extremely knowledgeable and professional. I have recommended Arthur and will continue to do so! Arthur and his team showed up on time, worked diligently and cleaned up after themselves. Professionals! Thank you!" ​"We couldn't be more satisfied JBA ( Arthur) and his crew! They did an AMAZING job on our back yard renovation! Arthur and his crew were completely dedicated to the job and making sure we were satisfied with it and they were extremely professional! The quality of work they do is extraordinary and very hard to find these day! we highly recommend Arthur and his crew! Thank you again for your hard work!" "I am so so happy happy with the patio and landscaping JBA has done in our yard. A small uninviting patio was transformed into a beautiful outdoor living space that we enjoy everyday. Arthur and his team were a pleasure to work with, they did a fantastic job!!! Definitely will call JBA for any future projects." ​"Working with Arthur/JBA was very satisfying. He made the process of installing our outdoor fireplace seamless and the outcome was beautiful. Not only did he provide all the visuals to help us understand how it would look and how we could enhance the space with lighting but he gave us a fair estimate and an accurate timeline of when he could complete the job. We are now thoroughly enjoying our new outdoor space!" ​"Arthur and his workers at JBA are amazing. They completely separate themselves from all other companies in the industry. We used JBA for our patio deck 5 years ago and then again this year for the pool deck. Arthur and his employees are trustworthy, reliable and easy to work with, which is difficult to find in the industry. Arthur will start the job when scheduled and work right through until the work is complete, while providing experienced workmanship in the process. The masonry work doesn't come close to what other companies laid out for us at the time of getting an estimate. We had several estimates from companies who were going to short cut the job when it comes to the prepping and laying out of the pavers. JBA is very detail oriented and takes no short cuts. The patio deck is in great shape after 5 years with no breaks or grass growing in between the pavers. We anticipate that the integrity of the patio deck will be long lasting as well. There are so many companies to choose from, but I can guarantee that JBA will provide the best looking, best quality and longest lasting finished product."